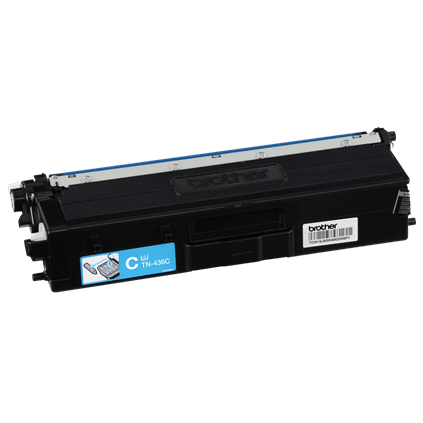 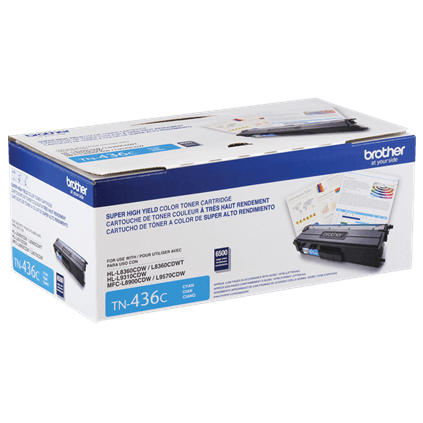 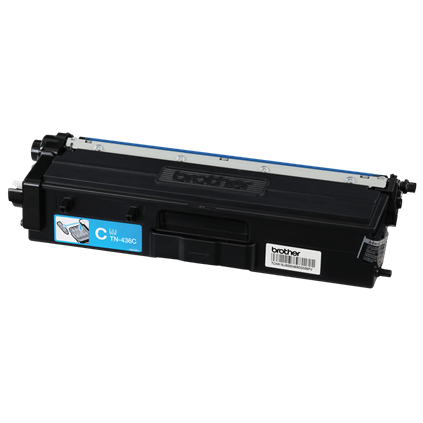 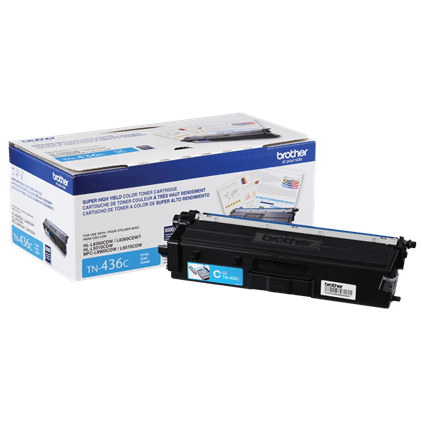 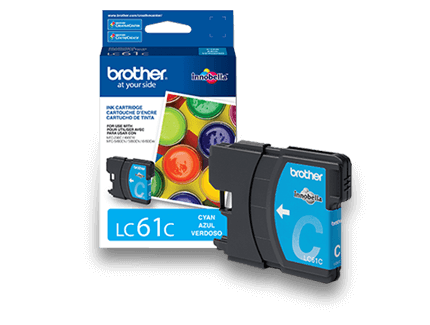 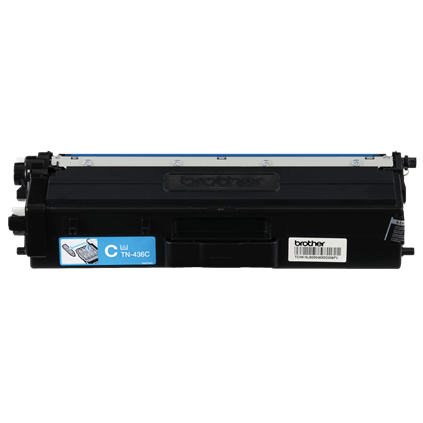 Brother Genuine TN436C Super High-yield Cyan Toner Cartridge. 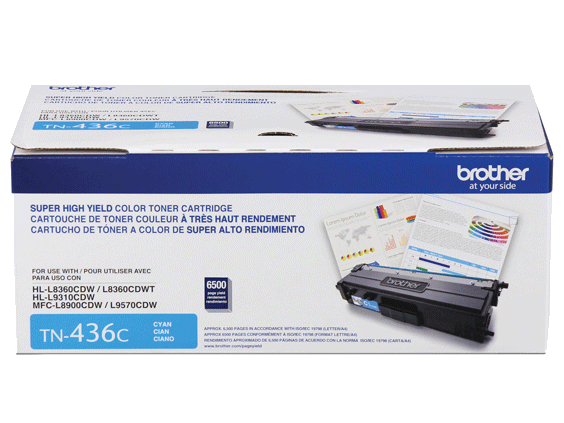 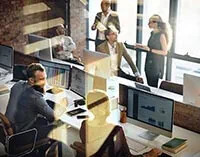 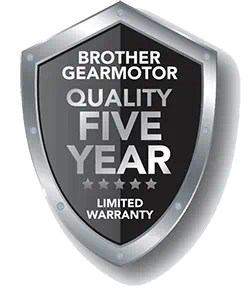 Professional color laser print quality you can consistently rely on for up to 6,500 pages‡. 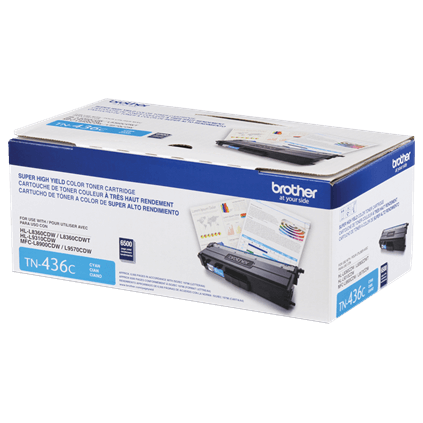 Brother Genuine TN436C is for use with: HL-L8360CDW, HL-L8360CDWT, HL-L9310CDW, MFC-L8900CDW, MFC-L9570CDW.